To aid in the sharing of this resource, we have created a set of facilitator notes which give directions on how best to run training/learning sessions using the videos. You can download the facilitator notes from here. We will continually update and enrich the current notes using feedback and learning gained from sessions which have been run. Please therefore ensure that you use the most up-to-date version of the notes. The current version is: V1.6. To help us update the notes, please send any completed feedback forms to Tracey.Harrington@uhl-tr.nhs.uk. All responses will be kept anonymous. 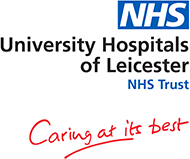 © 2019 University Hospitals of Leicester / NHS Trust. All Rights Reserved.